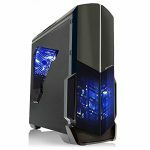 The SkyTech Azure Gaming Computer, Is It Ready For The Future? The SkyTech Azure gaming computer just came out in mid October on Amazon so it’s time to review it! Question is, is it really ready for the future? By the future I mean the future of VR gaming. It is advertised as Oculus ready but the specs will have to line up right in order for that to ring true. 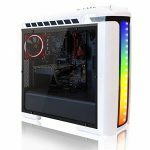 Best Gaming Computer Build on a Budget, You’ve Got To Build It Yourself! The greatest part about building your own computer is that you get the most bang for your buck. Make sure that you buy all of the right parts though. Computer retailers that sell “gaming” computers are ripping the consumers off big time because even some $700-$800 “gaming” computers won’t be able to run most of the games coming out in 2015. That’s when the beauty of building your own PC comes in, buy buying each essential part separately you are saving a bunch of money for your finished PC. Lenovo X315 Review, Is It A Good Gaming PC? Today I would like to create a Lenovo x315 review and share my opinion on whether or not it would be a good gaming desktop! Although building your own desktop will guarantee the most value for what you pay – the Lenovo x315 delivers a pretty decent amount of value for what you pay.